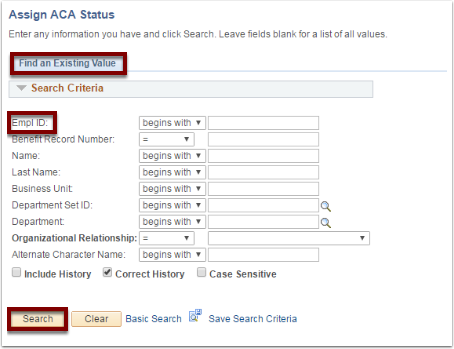 Purpose: Use this document as a reference for using the custom page "Assign ACA Status" in ctcLink. Enter the information (typically EMPLID) of the employee who needs their status defined. Typically there will be an associated Job Data row if the date is not initially known (such as Hire or Data Change).